For the latest postings on this page, please scroll down, past the Editor�s Note, to the start of numbered items. Editor's Note: "Access Limited! Keeping out man and beast! A "multipurpose" park or field is supposed to accommodate a whole range of human activity, from hosting sporting events, to walking and exercising the 'pooch,' from sunbathing to picnicking under the starlit skies, or just to view the passing of the seasons. The conversion of multipurpose fields and parks to artificial turf "multisport" playing fields reserves, under lock and key, the use of public lands to a certain defined and limited set of activities and for certain times. Moreover, the protection of the artificial turf surface -- more demanding than a Persian silk carpet -- limits a variety of objects and activities on the premises, such as chewing gum, seeds, animal and vehicular traffic, consumption of certain beverages (including sports drinks! ), and certain types of folding chairs and footwear. Most artificial turf field complexes come with fences. Typically, the use of the turf field is regulated through a permitting process and unauthorized people on the field are subject to arrest for trespass. In many communities, the so-called nonprofit sports leagues and boosters defray all or a substantial part of the cost of installing, maintaining, and replacing of the turf fields in an arrangement that city or town officials like to call "public-private partnership." It is a "partnership" alright! The use of the public's land and some of public's treasure is ponied up in favor or a gated eco-desert rug, with limited use and questionable appeal. In many communities, the public sector contribution in this cozy partnership comes from such funds as Community Preservation Act (in Massachusetts) or some such program, like the land or open space conservation or preservation fund or legacy fund, whose intent and purpose in most cases is not to pay for artificial turf fields. In many communities, the turf fields that are being installed by the aforementioned private-public partnerships, with our without the dubious source of public funds, are in actuality school fields, which should be installed or maintained, grass or turf, as a part of the school department's operating and capital budgets. Query: Does the participation and/or continued involvement of a private sector entity in a municipal turf field project create for the private entity a lien, encumbrance or easement on public land? If so, is that a good thing? With the exception of private institutions, the picture gallery/album below (click on each image to enlarge for detail) generally depicts the creeping limitation that is being imposed on public land/parks as the result of artificial turf installations in our communities. The following three signs are from Stafford, Virginia - Smith Lake Park's synthetic turf field. The signs impose use restrictions, and include a heat warning sign by the Stafford County Department of Parks, Recreation and Community Facilities (February 2013). 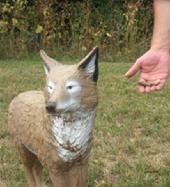 In Somerville, Massachusetts, a pair of fake coyotes were installed in order to scare off the geese from the fake field. A few weeks later, the geese figured out the ruse and so the management of the ballpark installed a third coyotes and a person was commissioned to occasionally move the coyotes around in order to give the geese the impression that the coyotes are really real! The custodians at the park told SynTurf.org that they must clean the geese poop off the field quickly otherwise it discolors the turf. Well, it has not worked as imagined and the pictures below tell the story. 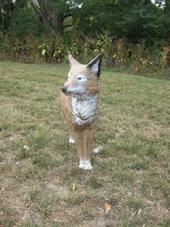 Maybe one day fake coyotes, wind- or solar-powered, of course, will come move about the turf field as if living, breathing animals, so that our children can wallow in crumb rubber and lifeless polygrass! [No. 27] Northamptonshire, England – Lighted artificial turf field for Wellingborough threatens quality of life for humans, dogs, birds and bees. 1 August 2017. Wellingborough is a town and borough in Northamptonshire, England. According to a news report in the Northhamptonshire Telegraph (29 July 2017), Wellingborough Council has completed the first part of a two-stage bid to receive match funds from the Football Foundation to provide an all-weather sports pitch at Redwell Leisure Centre. “The third generation “3G” synthetic grass pitch would be available for public use and give local football teams and clubs the chance to play in all conditions…. However, concerns have been raised by people living nearby and more than 30 residents attended a councillor’s surgery [occasion when/where people meet with their elected representatives] to have their say on the proposals. Residents are worried the new pitch will leave them with nowhere to walk their dogs as the field is popular for dog walkers. They also say parking is already difficult and it will only get worse if it gets the go-ahead. The green space is currently used by runners and is popular with children playing outdoors during the school holidays. Suzanne Sanders, who lives with her family nearby, said: ‘There’s a natural bank behind all our houses, and it’s alive with wildlife - from foxes, badgers and hedgehogs, to robins, bluetits and finches. We also get huge numbers of pollinating insects like bees and butterflies, and it’s well known that they are negatively affected by light pollution. I am worried that this new development will not only affect my enjoyment of our garden, but will also drive wildlife out of their home.” “Retired engineer Stuart Coles, whose property is less than five metres from the proposed development, said: ‘People have to remember that while the trees in their gardens are currently in full bloom, come winter, they will offer scant protection against light pollution from this development.’ … Retired solicitor Anne Coles said: ‘This development won’t just affect people on my street; it will also affect residents in Lowry Close, in all the roads off Barnwell Road and everyone who uses Redwell Primary School, and it will be operating while they are at school. I encourage everyone who lives locally to visit the council website, read the plans carefully, and think about how the development could affect their families. While sport is very important, as it creates community spirit and keeps people fit, this development would be better suited to a less densely populated area. 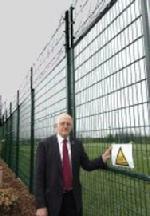 It’s important that we all speak out to protect our homes and push the council to find a more considerate and positive solution.’” Source: Stephanie Weaver, “Concerns raised about plans for all-weather pitch in Wellingborough,” in Northhamptonshire Telegraph, 29 July 2017, at http://www.northantstelegraph.co.uk/news/concerns-raised-about-plans-for-all-weather-pitch-in-wellingborough-1-8076105 . [No. 26] Riverside, Illinois – Another familiar graduation-related artificial turf story. According to a news item in the Riverside-Brookfield Landmark (23 May 2017), “[g]raduation at Riverside-Brookfield High School will be held indoors in the gym on May 26, and outdoor graduations may well be a thing of the past. Traditionally, RBHS has held its graduations outdoors in the football stadium, except when it rains…. But unpredictable weather may not be what dooms outdoor graduation ceremonies in the future. Rather it may be the football field itself. While planning last year's graduation -- which to be moved indoors at the last minute because of the threat of rain -- RBHS officials became aware of complications due to the new turf field. Traditionally the graduates sit on folding chairs placed on the football field looking at the audience seated in the bleachers.” According to District 208 Superintendent Kevin Skinkis “the legs of folding chairs, as well as high heeled shoes, can damage the artificial turf field. ‘It's something about the long stiletto heels and the folding chair legs … We had to tell kids last year, no high heels, they puncture the turf.’ If graduation was held in the football stadium, the seating arrangement for the graduates would have to be changed.” Source: Bob Skolnik, “RBHS graduation may move indoors for good: Chairs, high heels damage turf field; weather concerns a headache,” in Riverside-Brookfield Landmark, 23 May 2017), at http://mobile.rblandmark.com/News/Articles/5-23-2017/RBHS-graduation-may-move-indoors-for-good/ . [No. 24] Ottawa, Canada – Public space turned private preserve: another public non-benefit from public-private partnerships. According to a news report in the Ottawa Citizen (8 August 2016), “[t]here are two new artificial grass soccer pitches in a public south Ottawa park, but residents are barred from using the surfaces. Ottawa South United Soccer Association (OSU), a large soccer club that operates throughout most of the city’s south end, installed the artificial surfaces and flood lights at George Nelms Sports Park, just south of Manotick, late last fall." The city bought the 32-acre property for $1.3 million from Centaurus Partnership, a business group affiliated with OSU. 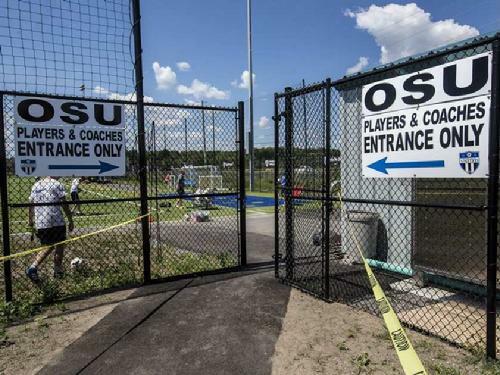 This is the first season that the fields have been available for use, but in a deal that sparked questions, including from the city’s auditor general, OSU has exclusive use of the pitches. It has erected a six-foot fence with a locked gate around them. ‘They are not locking up the park. They are locking up access to the fields that they have use for, because otherwise people would go on them,’ said Dan Chenier, general manager of Parks, Recreation and Cultural Services for the City of Ottawa. He added that other city-owned artificial surfaces, such as the field at the Barrhaven Minto Recreation Complex, are also surrounded by a fence. 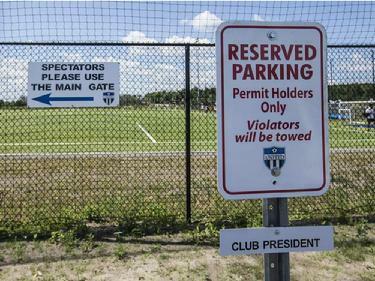 However, Chenier conceded that the city’s other artificial grass fields are all available to be booked by members of the public for a fee.” Source: Vito Pilieci, “Soccer club deal bars Ottawa residents from new pitches in city park,” in Ottawa Citizen, 8 August 2016, at http://ottawacitizen.com/business/local-business/soccer-club-deal-with-city-means-ottawa-residents-barred-from-new-turf-fields-at-city-owned-park . [No. 23] Cupertino, California: No July 4th fireworks on drought-stricken artificial turf field. In the summer months every year four storylines dominate the artificial turf news items: (1) The excessive heating of artificial turf fields (the plastic carpet, and infill) and associated issues of burns, melting of rubber soles, and dehydration; (2) Out-of-school youth doing damage to the artificial turf surfaces; (3) The artificial turf field cannot be used for commencement ceremonies lest the Persian silk carpet-like surface be damaged by chairs, tables, and high heels! And (4) It is best not to hold Fourth of July fireworks on or near the flammable artificial turf plastic field and its flammable infill. See below the posts on this page and in "Heat Effect" and "Vandalism" and "Health" pages. Now comes a fifth thread—not to host commencement ceremony or Fourth of July fireworks in or around artificial turf fields in drought-inflicted areas of the United States. According to a news report in Global News (3 May 2015), “an ambulance was blocked from driving onto the turf at Clarke Field when one of the Parkland Predators players was injured during a game on Saturday [2 May].” According to the report, linebacker Troy Potter was running to take out a blocker when the injury happened. He dropped his head and pretty much just took the hit right to the top of his head and his neck went back. The 15-year-old took a knee to signal he was hurt and the coaching staff came to his aid. According to Brad Dayman, the team’s volunteer development coach and trainer, when Potter went out he told Dayman his neck was hurting so at that point Dayman had to treat it as a possible neck injury. An ambulance was called. “The ambulance arrived within 10 minutes, but Dayman says it was stopped when it started to drive onto the field. The paramedics were then told to bring their equipment to Potter and carry the teen off the field. ‘Got through the gate right away, got about 10-feet onto the field and somebody, who I think was the manager at Clarke Park that night, actually physically stepped in front of the ambulance and told them they couldn’t drive on the field.’ According to the City of Edmonton, its policy states that vehicles are not allowed on the turf unless it has specialized turf tires. This policy applies to all vehicles, including emergency vehicles.” Source: Caley Ramsay, “Midget football team looks for policy change after player injured at City of Edmonton field,” in Global News, 3 May 2015, at http://globalnews.ca/news/1976901/midget-football-team-looks-for-policy-change-after-player-injured-at-city-of-edmonton-field/ . For other media coverage of this outrageous story, see “Football coach complains after ambulance stopped from driving on field Coach upset by City of Edmonton policy governing artificial turf,” on CBC News, 5 May 2015, at http://www.cbc.ca/news/canada/edmonton/football-coach-complains-after-ambulance-stopped-from-driving-on-field-1.3061899 . • All beverages except water from being consumed on the field. • Dogs or other pets — with the exception of service animals, which must be on a leash. • Glass and metal beverage containers. • Tent stakes or other sharp objects that can pierce the surface. • Bicycles, scooters, skateboards, inline skates and strollers. • Motorized cycles and scooters. • Jumping pits and mats without permission. CDC does not yet understand the potential risks associated with exposure to dust from worn artificial turf. The following precautions can be taken to minimize any potential risk. 1. After playing on the field, individuals are encouraged to perform aggressive hand and body washing for at least 20 seconds using soap and warm water. 2. Clothes worn on the field should be taken off and turned inside out as soon as possible after using the field to avoid tracking contaminated dust to other places. In vehicles, people can sit on a large towel or blanket if it is not feasible to remove their clothes. These clothes, towels, and blankets should be washed separately and shoes worn on the field should be kept outside of the home. 3. Eating while on the field or turf product is discouraged. 4. Avoid contaminating drinking containers with dust and fibers from the field. When not drinking, close them and keep them in a bag, cooler, or other covered container on the side of the field. [No. 18] Bloomfield, New Jersey: Broken promises; broken hearts. According to a news report on NorthJersey.com (11 April 2012), “Bloomfield High School graduation ceremonies will not be held on Foley Field. The reason? Fears of folding chairs poking holes into the recently installed artificial turf on the football field.” According to Student Government Association President Joshua John, “As seniors, we were told we would be graduating at Foley.” “Telling students Foley isn't available for graduation flies in the face of a letter the district sent to voters last year asking them to support the renovations, said Alexis Celluro. ‘Why was [graduating at Foley] stressed during the election?’ she asked.” “Fourth of July fireworks are also nixed” for fear of embers burning the turf. Source: Jeff Frankel, “Bloomfield High seniors plead for Foley Field graduation,” on NorthJersey.com, 11 April 2012, available at http://www.northjersey.com/news/146972335_Bloomfield_High_seniors_plead_for_Foley_Field_graduation.html?c=y&page=1 . [No. 17] <?xml:namespace prefix = st1 ns = "urn:schemas-microsoft-com:office:smarttags" />Lodi, California: Kid-glove treatment for artificial turf at Grape Bowl. There is something fundamentally obscene about replacing a trodden natural grass field with a plastic field on the pitch that the latter is more durable. It is even more obscene to prove the durability of the artificial turf field by disallowing activities on it that otherwise one would not think twice about conducting on a natural grass field. Here is a case in point � according to a news item in Lodi News-Sentinel, May 24, 2011, �This year�s high school graduation season kicks off Thursday [May 26] with three local ceremonies. Students and their friends and family will be the first to enjoy the new Grape Bowl, but recently installed synthetic turf has altered some of the post-graduation traditions. Guests will not be allowed to go onto the field. Instead, they can meet students in a parking lot off Calaveras Street at the end of the ceremony. Seniors are also prohibited from wearing heels, eating sunflower seeds or chewing gum at this year�s graduations held at the Grape Bowl. Those not wearing flat-bottom shoes will be sent home and not allowed to par[t]icipate, since school officials have said going barefoot is not an option.� Source: �Graduation season to kick off on Thursday,� in Lodi News-Sentinel, May 24, 2011, available at http://www.lodinews.com/news/article_b51d0de0-56a3-595d-b4d0-10f2272c538f.html . [No. 16] <?xml:namespace prefix = st1 ns = "urn:schemas-microsoft-com:office:smarttags" />Boulder, Colorado: Artificial turf ruins winter fun for community. One would assume that if you lived in Boulder and other parts of Colorado that you would not be wanting for winter fun venues. Not so � and because of draught, lack of snow or flat-lands. The new joy-kill is the artificial turf field at Casey Middle School. According to a news report in Boulder Daily Camera (November 15, 2010), �Neighbors of Casey Middle School are upset that the school's soccer field now is off-limits, as is a hill long used for sledding.� The soccer field was upgraded to artificial turf when the school was rebuilt and the city �limit[s] public access to the district�s synthetic fields, so they locked the gate that provides access to Casey's fenced-in soccer field.� According to Jennifer Corkern, a Casey neighbor, �neighborhood kids have used the field for years to play games, fly kites or just run. She said someone recently called the police to report some boys who had scaled the fence and were playing Frisbee in the field -- sending a message that �playing outside can get you in trouble.�� She believes that it is �irresponsible for a public institution to take away a communal space used by children for outdoor recreation. The sledding hill also is one of the most popular in the city,� and �the neighborhood was promised it would remain open during community meetings about the construction.� Source: Amy Bounds, �Closure of Casey Middle School's soccer field, sledding hill angers Boulder neighbors,� in Boulder Daily Camera, November 15, 2010, available at http://www.coloradodaily.com/cu-boulder/ci_16623588 . [No. 14] <?xml:namespace prefix = st1 ns = "urn:schemas-microsoft-com:office:smarttags" />Derry, Pennsylvania: Want to �protect� the expensive artificial turf? Restrict use of the field and track. SynTurf.org, Newton, Mass. January 16, 2010. One of the selling points an artificial turf field is the track that can circle it. The problem is that when the track becomes a part of the artificial turf field installation it is always within the confine of the fence that circles the facility. Restricting access to the filed also deprives the members of the public from using the track for walking or jogging. This particularly hard on folks who have been used to many years of enjoying the track around natural grass fields, usually open spaces, for the members of the public to enjoy. According to a news report in The Patriot-News (January 12, 2010), �Taxpayers may have paid for the Derry Township School District�s new $4.2 million artificial turf fields, but district officials want restrictions on who can use them. Athletic director Sam Elias said it is important to protect the school�s investment. He said people sometimes let their dogs make messes there, drop trash or ride skateboards. He said spilled Gatorade can ruin the surface of the artificial turf, which can be expensive to repair. The fields are protected by a fence, security cameras and now, perhaps, a card swipe system to make sure only those who are registered can jog around the track. School board members debated Monday about who would be allowed to use the new fields, how much they should pay, and whether members of the community will be allowed to use the track.� For the rest of this article, please see Monica Von Dobeneck, �Derry Township School Board considers restrictions on use of fields, track,� in The Patriot-News, January 12, 2010, available at http://www.pennlive.com/midstate/index.ssf/2010/01/derry_township_school_board_co.html . [No. 13] <?xml:namespace prefix = st1 ns = "urn:schemas-microsoft-com:office:smarttags" />Chino Hills, California: The hidden cost of an alternative venue. SynTurf.org, Newton, Mass. November 8, 2009. This story is nothing new; it is happening with frequent regularity around the country � a graduation ceremony cannot take place at the old stadium because of the new artificial turf field. The 4th of July fireworks have to be set up at another venue. All this may cost municipality an additional cost to secure a suitable site for activities that are now forbidden on the plastic carpets of the once-grass playing fields. According to a news reports in Chino Hills Champion (October 3-9, 2009) and Contra Costa Times (October 10, 2009), the students at Don Lugo High School will not be able to hold their graduation ceremonies at the school�s under-construction stadium come next spring. The reason has to do with the stadium field being artificial turf. The same goes for the other schools in the Chino Valley Unified School District�s other three schools that already have artificial turf fields. Holding mass celebrations like graduation on artificial turf fields, according to the officials, �would violate warranties for the field turf because of the concern that the high heels and heavy weight of a graduation ceremony could destroy the field.� �If there was any damage caused as a result of the high heels puncturing into the weave, that violates the contract with the people who maintain the warranty,� said school board President Sylvia Orozco. The school could cover the field with a protective cover but it will cost it $400,000 to buy such a cover or rent it for the cost of $72,000 to $96,000 for shelter, seats, staging and fences. The District maintenance director, Michael Chapko, lamented the fact that this information about not being able to use the turf fields for such events was not available to the school district at the time when the decision was being made to install it. For details see Neil Nisperos, �Don Lugo students disappointed they can't graduate in new stadium, in Contra Costa Times (Walnut Creek, CA), October 10, 2009, available at http://www.contracostatimes.com/california/ci_13604049 and original reporting by Brenda Dunkle, �Schools discover faux turf�s drawbacks,� in Chino Hills Champion, October 3-9, 2009, available here. [No. 10] <?xml:namespace prefix = st1 ns = "urn:schemas-microsoft-com:office:smarttags" />Newport Beach, Calif.: Turf field is no place for a dog! On January 13, 2009, the Newport Beach City Council unanimously voted to ban dogs in the play areas of the 38th Street Park on the Balboa Peninsula. The new city ordinance arguably was necessitated because of dogs� running around off leash and owners� not cleaning up feces in the park. The city has a leash law and fines people for not picking up after their dogs. The enforcement of the existing law would have solved the problem, had it not been for a new amendment to the landscape � the installation of an artificial turf playing field. According to a news item in the Daily Pilot (January 13, 2009), �The artificial turf that will be installed poses a couple of problems, though. It is difficult to clean and once it gets a smell, it�s unlikely to go away, said General Services Director Mark Harmon.� Source: Alan Blank, �Rule bans dogs from park areas,� In Daily Pilot, January 13, 2009, available at http://www.dailypilot.com/articles/2009/01/13/topstory/dpt-dogs01142009.txt . I'm sorry to say it, but Santa Barbara City College made a terrible mistake when they decided to install artificial turf six years ago on the athletic field. They ignored pleas from their track coach, Robin Paulson, and local Club West president Beverly Lewis, for further studies on the turf, instead falling for the hucksters who promised that this new $500,000 "state of the art" turf would be the best thing since sliced bread. Today, six years later, the turf has worn down to a dangerously low level and the general public is now required to obtain a permit if they want to set foot on the field. This means that if I want to play catch with my young grandson on the athletic field, I have to find the college's Administration Services Department, apply for a permit (which will presumably have to be cleared through the appropriate channels), and then return in two weeks to find out if the activity is permitted. This permit requirement is in clear violation of a 1962 agreement (I have a copy) that SBCC signed with the city, which reserves the right of the community to use the facility without a permit when it is not being used by the college or for special events. 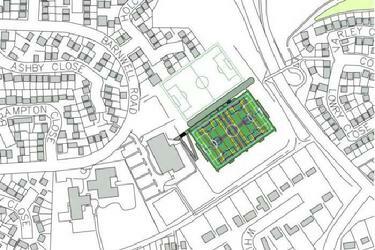 And finally, there is a great deal of evidence that synthetic turf is bad for the environment. It is made of plastic, and crumb rubber from waste tires. The crumb rubber contains hazardous chemicals including butylated hydroxyanisole, a carcinogen, as well as lead, arsenic, zinc, chromium, and cadmium. The rubber pellets sometimes land in players' eyes or mouths and get tracked into car and home. The effects of long-term repeated exposure to children or the environment are unknown. These concerns have triggered efforts by legislatures in five states to ban new synthetic fields, pending further study on public health and environmental impact. Once again it looks like the grass is not greener on the other side. Source: Fred Jisa, �Turf Not Greener,� in The Independent, December 18, 2008, available at http://www.independent.com/news/2008/dec/18/turf-not-greener/ . [No. 08] <?xml:namespace prefix = st1 ns = "urn:schemas-microsoft-com:office:smarttags" />Reading, Mass. : Artificial turf: No place for pooping pooch! According to a news item on WickedLocal.com (November 28, 2008), �After receiving complaints about dog owners not cleaning up after their beloved canines on the town�s artificial turf fields, town officials have barked back.� �The Board of Selectmen voted 4-1 Nov. 25 to enforce a policy prohibiting dogs on any turf fields and within any fenced areas surrounding turf fields [Reading Memorial High School and W.S. Parker Middle School],� reported the source. 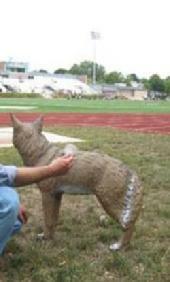 For more on this, please go to Stephen Vittorioso, �New policy prohibits dogs on turf fields,� on WickedLocal.com, available at http://www.wickedlocal.com/reading/fun/pets/x1772965681/New-policy-prohibits-dogs-on-turf-fields . Private contributions for installation of turf fields has a public price. First, the project is always on public land. Second, access to a turf field is often limited by physical and legal barriers. One such barrier comes about when the private contributors demand, as in a quid pro quo for their munificence a virtual easement on public land for private use for certain number of hours per week. The worst of it, however, is when a municipality charges clubs for playing on the artificial turf fields at rates that only the rich clubs can afford, thereby limiting access to these fields by less-to-do players and clubs. According to an news item in The Washington Post (November 20, 2008), a recent �proposal to shuffle the way athletic fields are allotted to sports leagues has caused such an uproar that [Fairfax County Board of Supervisors County] decided � to table the matter until January.� �At issue,� the Post reported, �is how to allocate the county's limited number of athletic fields while keeping incentives in place for private clubs to contribute to their construction. The problem highlights the growing demand across Fairfax for synthetic and lighted fields, which can be used after dark, in the rain and throughout the winter. It also speaks to the socioeconomics of athletics in one of the nation's wealthiest counties, where clubs with greater means can effectively purchase access to government-owned fields.� For more on this story, go to Amy Gardner, �Board delays action on fields: Private clubs may lose some access,� in Washington Post, November 20, 2008, available at http://www.washingtonpost.com/wp-dyn/content/article/2008/11/19/AR2008111901515.html . [No. 06] Artificial turf has limited access to the field for other athletes, complains Athletics Association of <?xml:namespace prefix = st1 ns = "urn:schemas-microsoft-com:office:smarttags" />Malawi. According to a report in Malawi�s premier daily, The Daily Times, ever since artificial turf was installed at the Kamuzu Stadium in Blantyre the pitch has become the exclusive arena for the footballers. That has deprived the other athletes from having a place to train and compete, particularly when it comes to track and field. �The athletes have had no access to the stadium since the installation of artificial turf,� The Daily cited the vice-general secretary of the Athletic association. �And what people did not consider is that athletics is not just about running; it involves long jump, triple jump, shot put, discus and javelin,� said a former track star. Source: Patrick Lunda, �Artificial turf cripples athletes,� in The Daily Times (Blantyre, Malawi, September 25, 2008, available at http://www.dailytimes.bppmw.com/article.asp?ArticleID=10857 . SynTurf.org Note: The fact that turf surface is sensitive to certain objects and activities would not have come as a surprise had the Stratford officials done their homework. There has been ample information available on the Internet and elsewhere about such restrictions. This shows, again, the general lack of due diligence on the part of officials when they fall head-over- heels in love with turf and all on the say-so of the promoters who rarely, if ever, disclose the downside of product. [No. 04] <?xml:namespace prefix = st1 ns = "urn:schemas-microsoft-com:office:smarttags" />Waterbury and Darien, Conn.: Rockets� red glare no more? SynTurf.org, Newton, Mass. July 4, 2008. Nothing is more spectacular at a Fourth of July celebration than the firework display in the sky over a community field. Now comes news that this part of the ritual that celebrates America�s love affair with patriotism, community and independence is being threatened increasingly with concern over the wellbeing of artificial turf fields. �The Fourth of July skies have been dark in Darien for about six years now, as the town's annual fireworks display was indefinitely called off for lack of a safe location,� reads the lead-in of a news story that appeared a few days ago in the Darien News Review. The vents, which used to attract some 5,000 people to the grass field at High School Lane is no longer possible because the field there is now artificial turf. The town�s Deputy Fire Marshall, Mark McEwan, believes that not every venue will do for fireworks, because the location must be such as to allow for emergency vehicles to easily and safely get in and out of a location, and also the residences and people should be far enough away from the fireworks to avoid property damage or physical injury. Meeting the distance requirement is difficult, McEwan said, "Because the town is so built up, it really narrows down the field." Thanks to the artificial turf field at High School Lane the possibilities for holding the fireworks has been narrowed still. �The problem at the high school now is that the only field available for use would be the turf field, which presents a number of problems. Specifically, it would have to be wet down to prevent damage from the fireworks -- falling embers could cause the artificial grass and rubber infill to melt. But perhaps more likely is the damage caused by the people themselves. High heels, food, drinks, cigarettes and gum, etc., can be very harmful to this relatively new athletic field.� Source: �Fireworks Fanfare Finished?,� in Darien News Review, July 2, 2008, available at http://www.dariennews-review.com/opinion/ci_9764020 . The pointed comments made by a very irate Pete Noble, while scooping up dog poo from his new field, included: "To me the lack of respect for the high school is a little overwhelming. The local residents have to be reminded that this is no longer a grass field and they can't let their dogs come out here and do their thing. They shouldn't have done it before but they definitely can't do it now. It was unsanitary before for our P.E. classes that were held on the grass. Now, that bacteria will rot the rug. It's a slap in my face." Source: �Synthetic turf not a place for dogs, Monterey coach says,� in The Monterey County Herald, June 17, 2008, available at http://www.montereyherald.com/sports/ci_9610117. [No. 2] <?xml:namespace prefix = st1 ns = "urn:schemas-microsoft-com:office:smarttags" />Toledo, Ohio: Whitmer High�s turf field is locked and alarmed! SynTurf.org, Newton, Mass. June 15, 2008. MHSAA stands for Michigan High School Athletic Association. On June 7, 2008, the Bobcats of Whiteford Agricultural Schools (Ottawa Lake, Mich.) defeated Reading High School in the Regionals and thus earned at spot in the state�s Division 4 baseball quarterfinals. This year, the quarterfinals were to take place at Adrian College, in Adrian Michigan, whose Nicolay Field boasts a new artificial turf surface. The Bobcats had never experienced anything like artificial turf and so the coach of the Bobcats asked if his players could test it out before the game against Lutheran High School Westland, on Tuesday, June 10, 2008. [No. 1] <?xml:namespace prefix = st1 ns = "urn:schemas-microsoft-com:office:smarttags" />Arlington, Mass. : Turf field�s locked gates delayed the paramedicsfrom reaching a player in the throes of an heart attack. On Sunday morning, May 18, 2008, a 40-something soccer player was overcome by a heart at Peirce Field at Arlington high School. Has he struggled for his life, with repeated bouts of seizure and vomiting, while paramedics and an ambulance idled outside the locked gates for more than two minutes before the lock was removed by a bolt cutter. This victim survived his ordeal. However, last September at the same venue, a 60-year-old referee collapsed and later died while officiating a football game. Apparently no new safety precautions were put in place after that incident. According to Arlington Fire Chief Robert Jefferson, �firefighters would not try to drive a truck onto the field, because it could damager the artificial turf and the truck might become stuck.� Source: Andy Metzger, �Soccer player in critical condition,� May 21, 2008, available at http://www.wickedlocal.com/arlington/sports/x2118743777/Soccer-player-in-critical-condition. SynTurf.org Note: SynTurf.org visited the Peirce Field right after an act of arson decimated the school�s logo at midfield. For a pictorial on that story, go to http://www.synturf.org/vandalism.html (Item No. 4). For a story about what a truck could do to a turf field, see http://www.synturf.org/vandalism.html (Item No 6).